Home / Politics / OPARANYA denies that he was the one who planned the failed assassination attempt against politician ENOCH KIBUNGUCHY! OPARANYA denies that he was the one who planned the failed assassination attempt against politician ENOCH KIBUNGUCHY! 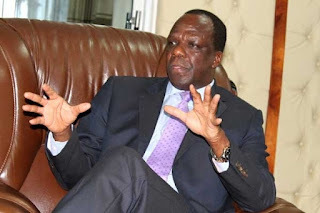 Saturday August 25, 2018 - Kakamega Governor, Wycliffe Oparanya, has denied reports linking him to the attempted assassination of Likuyani MP, Enoch Kibuguchy two weeks ago. Kibuguchy and Oparanya have been trading words over the fatal shooting of the MP’s driver a fortnight ago. The MP said the Governor was behind the assassination of his driver and the bullet that killed the driver was aimed at him. But speaking on Friday, Oparanya said Kibunguchy is seeking cheap publicity. “I’ve never in my political life thought about harming anyone,” he said. Oparanya said there was nothing of common interest between him and the legislator that could create conflict. “I rarely deal with MPs because the people I engage with most are MCAs who have to approve the County programmes,” he said.